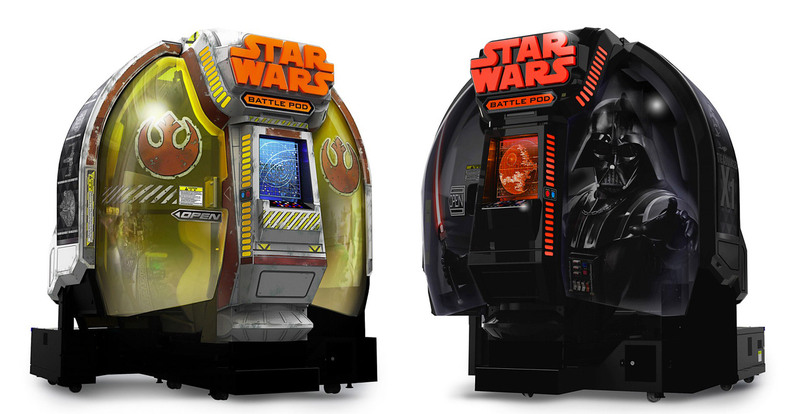 We showed you these awesome Star Wars arcade machines back in October. The Battle Pod arcade game is the first Star Wars arcade game to arrive in many years. The gameplay looks pretty amazing. You can blast away at bad guys on Hoth, Endor and even the Death Star II, all in a highly immersive environment. I wish I had a chance to play it myself. Soon you’ll be able to buy a cabinet for yourself if you want. Bandai Namco recently announced plans to the sell them in the U.S., Japan and Europe in standard (~$36,000 USD) and premium ($97,000 USD) versions. These units are individually numbered, and if you purchase the premium version, your name will be on a special plaque. Orders start next month. If I had the extra money, I would definitely buy one.